as an investment in yourself for the future. But all vision correction surgery providers are not created equal. 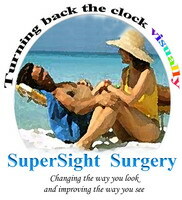 SuperSight Surgery is the safe and most successful procedure performed today. By employing leading-edge lens implant technology and the latest medical equipment, backed by highly experience ophthalmologist, you can rest assured that you will receive the most effective and accurate treatment. 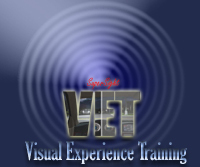 If you already have cataracts starting to form, RLE may make a lot of sense. For presbyopic patient, SuperSight Surgery may be a better alternative for those who wish to eliminate their dependence on traditional or progressive bifocals and those who may be showing signs (even without symptoms) of developing cataracts. Some people view this as an investment in themselves and their future. Some people might be willing to pay more for how the world sees them than for how they see the world but many people come to view the SuperSight Surgery as "life enabling," because it is through improved vision that patients gain a greater sense of control, confidence, and independence in the world. Those emotional benefits translate into being able to experience life more fully—perhaps so much so as to be willing to try a great adventure. Exciting new technology for people who dream either about life without glasses, bifocals or experienced when they were young. 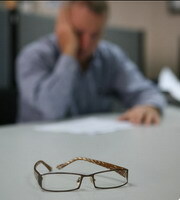 The age is no longer limitation for clear vision anymore. Consistency is not a coincidence. After countless pairs of eyes being treated worldwide, there isn't much we don't know about rejuvenation of the eyesight. Whether you want to free yourself from dependence on glasses for any reasons, you can start to imagine that what life would be like without glasses. 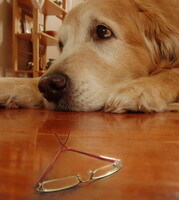 Freedom from glasses, Contacts, Bifocals & Readers. Experience the Freedom of Vision at All Distances. Bangkok Pattaya Hospital (BPH) pride ourselves on providing patient-centered care and being strongly committed to delivering the best medical attention possible. We found that most of our refractive surgery customers were having similar demands and expectations including simple procedures, minimum pain, wishing to the best possible visual outcome. But each individual has different basic knowledge about the procedure, roles of patient cooperation and how to prevent the possible risks and complications. A holistic approach was introduced for each individual to serve the actual needs of each person. The SuperSight Surgery (SSS) Center came up with the conclusion that an innovative technology, which could replicates younger natural vision in elderly and simply answers the needs of the patients, must be integrated to the safe and comfortable medical service. By employing leading-edge lens implant technology and latest medical equipment, backed up by highly experienced ophthalmic staff and moreover, patient participation. The SSS procedure uses topical anesthesia so the patients will be awake during operation and will be asked to keep their head still, and lie as flat as possible. Some excited or nervous patients may try to move or squeeze their eyes cause difficult and prolong procedure, follow by complications such as corneal edema, which may affect the visual outcome. Every patient has to use post-operative medications and limit some activities to prevent the risk of infection after surgery. Some patients do not follow the instructions or regimens then take risk of complication. The review of medical records in past 12 years revealed low complication rate (~ 1%) and just the minor complications occurred but all incidents were related to poor patient compliance, which happened about a half of cases during and after operation. The multidisciplinary team emphasized that the patient participation will play important role in evolution of quality medical care, so a new strategy was developed in April 2014 to ensure the good patient compliance throughout the process of treatment.